I love nothing more than having fresh flowers around the house, not only do they instantly brighten up any room but they make it smell nice too – always necessary with two kids and a dog! 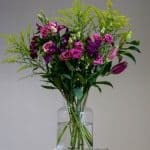 They also have the ability to help brighten a mood as well as the room which is always a good thing. 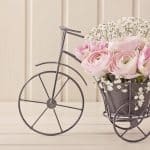 Of course, fresh flowers don’t last forever but there are a few tips and tricks to help keep them alive for longer: cut the stems at an angle when you get them home, place them in fresh water with some flower feed or even a little lemonade, change the water regularly and don’t place over a radiator or in the window in direct sunlight. 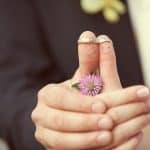 With these tips your flowers should last around 7-10 days, some longer – my record for keeping a bouquet of Valentine’s Day flowers alive was 3 and a half weeks! While fresh flowers won’t last forever, unless dried and/or pressed an Eternity rose will! 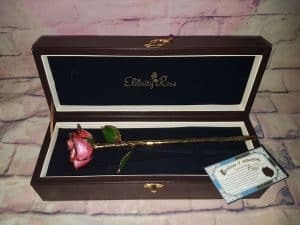 Recently, I received the most amazing gift of my very own Eternity Rose and it really is such a lovely unique gift. Eternity Roses are real roses with a difference. Each Eternity Roses starts out as a real rose grown in the companies own nursery. The employ trained horticulturalists to ensure they grew the best roses with no expense spared in growing these to perfection. 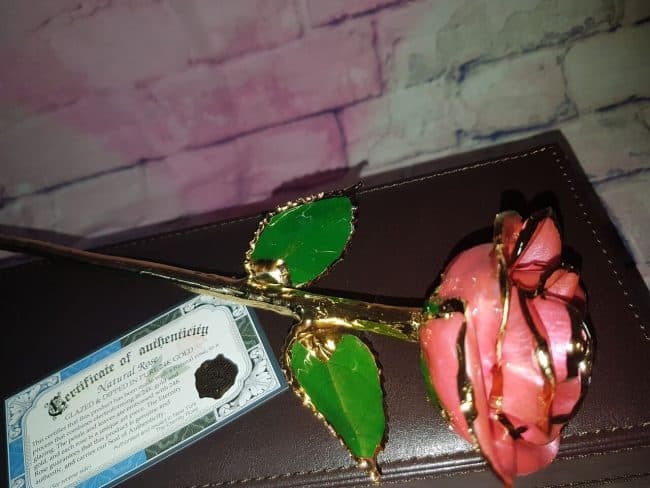 Only the best of the best roses will make the final selection process to be turned into gold, silver, platinum and glazed roses to keep forever. The process which goes into the Eternity Roses is both complex and fascinating. It starts with a clear coating applied to the flower which helps to hold its shape for the electroplating journey. The flowers are ‘frozen’ and then moved through multiple steps in which they gain numerous layers of coating via immersion electroplating. They are initially electroplated with layers of pure copper, which helps to provide a highly accurate and texture-sensitive layer, as well as the best base for precious-metal plating. After it is sealed it is electroplated in nickel, this is the layer which helps provide structural integrity which is necessary for the final step of pure precious-metal plating. Between each of the layers the roses are carefully inspected to check not only the form is still perfectly intact but to check for any imperfections – any found will be rejected as only perfect roses will make the final cut. When they have passed the exacting quality control screening, they are moved on to the gold, silver or platinum electroplating baths. 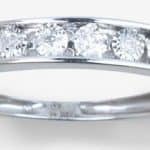 The precious-metal plating process comprises of the application of literally dozens of extremely thin layers, which are slowly built up over many weeks. 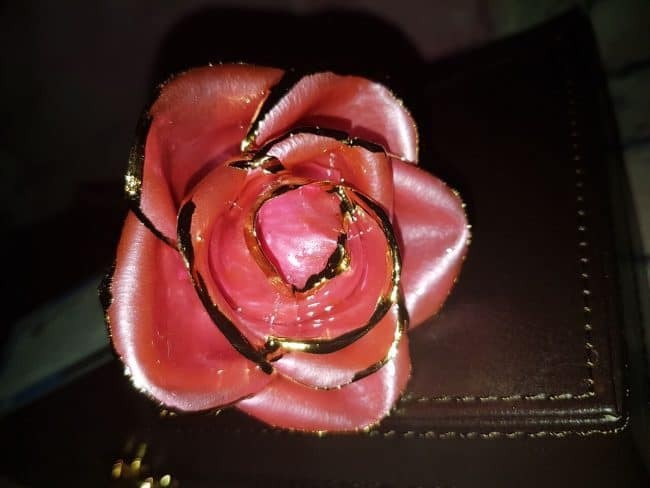 The rose I chose is this beautiful natural glazed pink rose trimmed with 24 karat gold. It is completely perfect in every way with absolutely no flaws or imperfections what-so-ever. The finished glaze has a lustrous and brilliant shine to it and the pink colour of the rose captured forever with the natural clear glaze finish. The leaf colour is a vibrant green with all outlines of the rose (petals and leaves) trimmed beautifully in 24 karat gold trim. The entire stem is 24 karat gold. 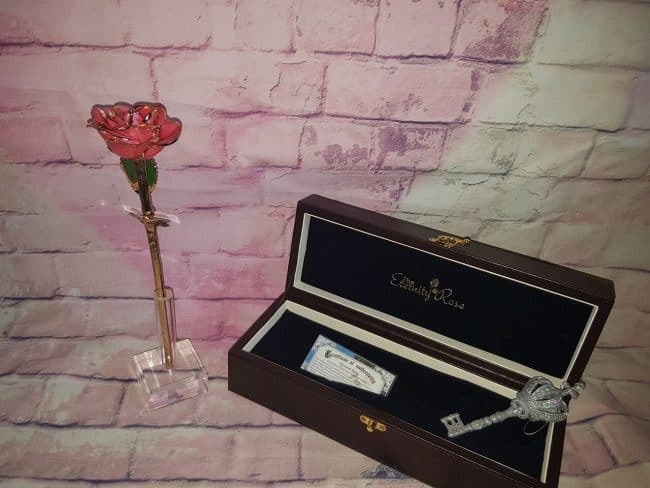 Shipping is really fast and you will be emailed tracking details along the way, with roses starting from $119 these are amazingly beautiful keepsakes which would make perfect Valentine’s Day gifts or gifts for special Birthdays and Anniversaries. 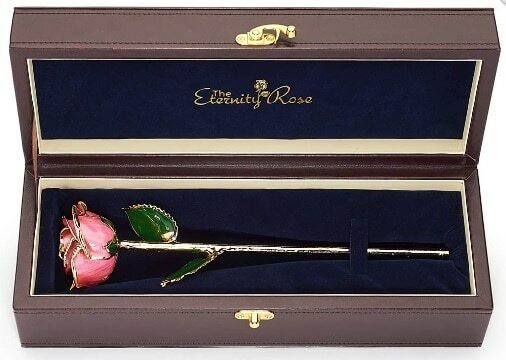 They also sell single stem vases to display your rose should you wish too, as well as Eternity Rose jewellery sets consisting of necklaces and earrings made using the very same techniques as the roses. Disclaimer: I received this item in exchange for this post, all thoughts and opinions have been independently formed by myself. 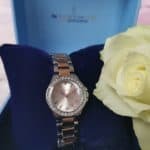 Perfect eternity gift for a special day! Roses are the beautiful gift for every occasion. They represent our feelings depending on their colors. If you want to express your love, then red rose is a perfect choice. Thanks for sharing such a great article with us. I enjoyed a lot reading your article.